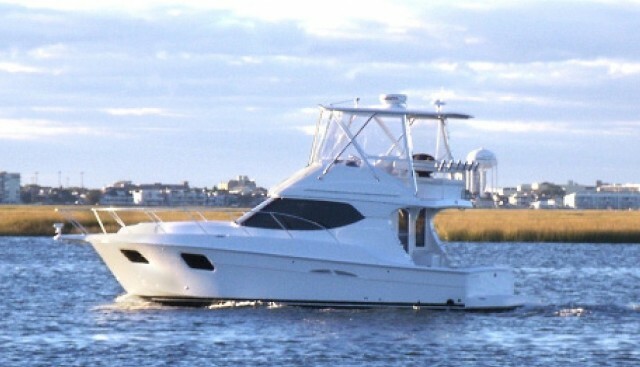 Travel in luxury and style in this beautifully equipped motoryacht with 2 staterooms and 2 full heads with a stall shower in each located in Farifield County, CT. A very spacious master aft cabin with storage. 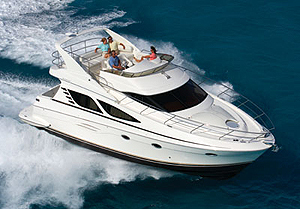 Built on a conventional modified-V hull, the two stateroom interior is arranged with the galley and dinette forward and double berths in both staterooms. The galley is only a step down from the salon/dinette level, which tends to open up the interior considerably. 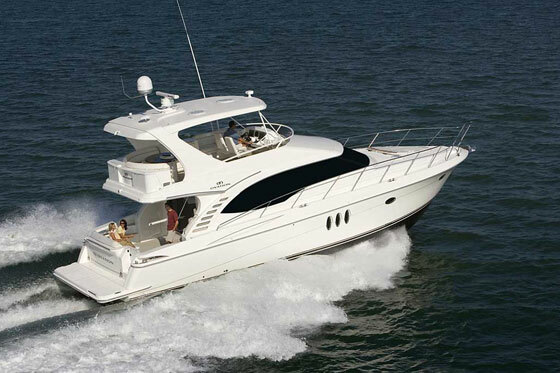 Topside, the flybridge and aft deck are on nearly the same level which makes socializing very convenient. 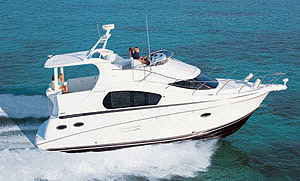 Additional features include a radar arch, swim platform and a bow pulpit. She has been barrier coated and has 4 coats of Micron bottom paint added in 2010. Carpets in the salon and galley have been replaced with simulated wood vinyl flooring similar to Pergo Flooring in 2011. She is shrink wrapped every winter and well cared for by her owner. NO HURRICANE SANDY DAMAGE AT ALL. HULL IS CLEANED BY DIVERS ONCE A MONTH. 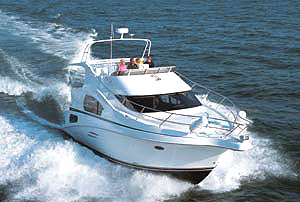 2 Full Staterooms with Full stand up heads and stall showers in each.